Always be aware of landing area possibilities. If you cannot make it back to the airport, find locations with low crops, no power lines, and near a road or intersection, so that you are easier to find. Make your glider visible - examples include reflective streamers, disco ball, etc. Hang gliders in the Midwest are normally between 2,000’ and 6,000’ AGL. This is a range where you can expect to see general aviation traffic. Around HGC are many other airports, private and public. Be aware of airspace to avoid legally and airspace to avoid for your safety. Kankakee Regional Airport (KIKK) is the closest public airport to Enjoy Field. Keep in mind that the approach path for Kankakee’s runway is miles south almost in line with Highway 57. Use caution when flying over highway 57 to avoid incoming traffic to Kankakee. Glider pilots must avoid all populated areas. The below tasks are provided for informational purposes only. Only you, as the pilot, can make decisions about your flights. 15 miles and you only really need the Enjoy waypoint, as you can see the 2 towns! A 30 mile triangle and you're never 7 miles from the field! A 50 miler and you're never 15 miles away. The most challenging task we're presenting. 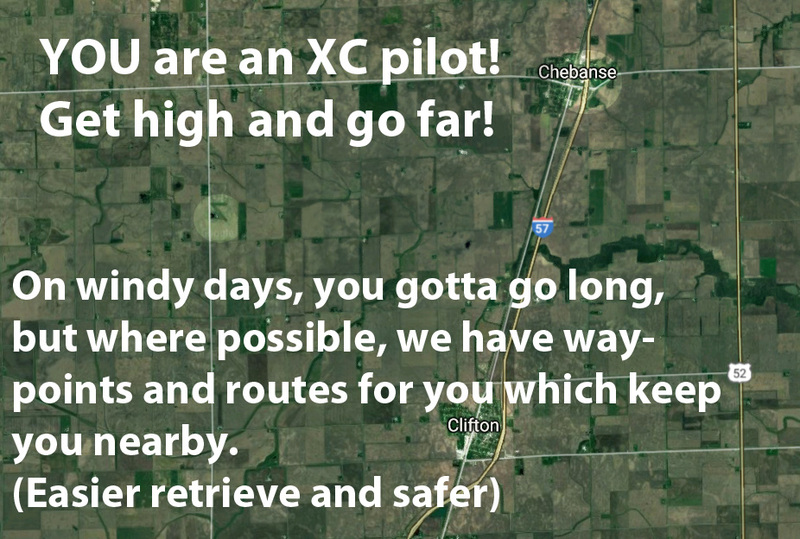 From a small beginning, a few miles out-and-back, this is what an XC pilot aspires to! Enjoy - TwinOaks - Visit our brothers in Wisconsin! If there is a nice south breeze, this is fun. Fly to the flight park north of us in Whitewater, WI. Hinckley is the key. It is west of the O'Hare/Aurora airspace and east of the Rockford airspace. A task for only a few days a year, but an accomplishment! 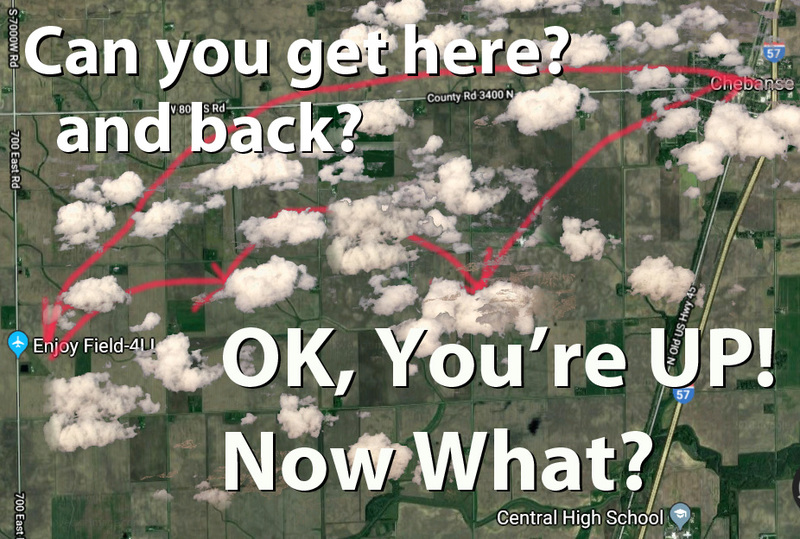 Now, How about those Waypoints? 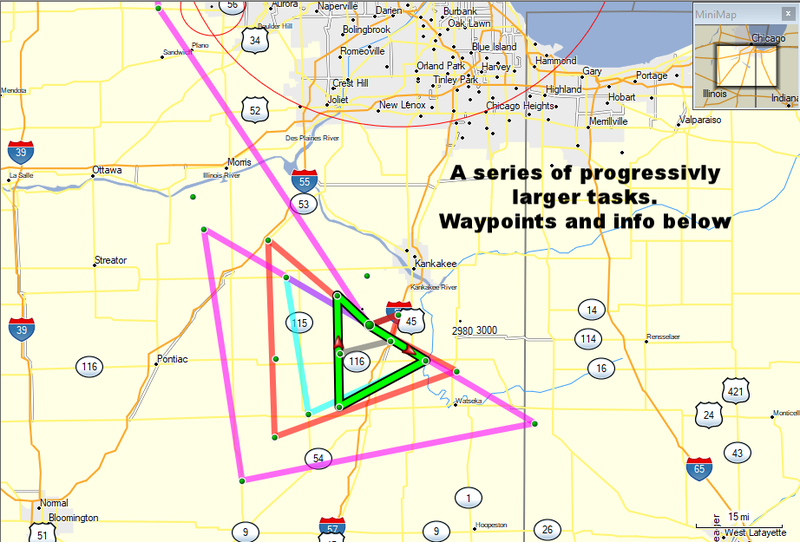 GpsDump is a program that helps get waypoints on and off your Flight instrument. Also some GPS's directly read these files. Click here to DOWNLOAD GpsDump. Download the file with those waypoints here.